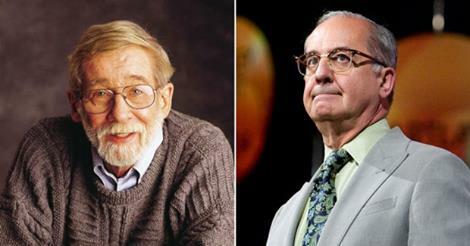 Peter Gzowski vs. the other CBC. Journalistic footnoe: attentive readers will notice that although the Pest headline refers to someone named Richard Stursberg and the layout carries a photo of him, there’s nothing in the story that explains who he is or why he’s apparently disliked. Stursberg was a CBC vice-president who was responsible for the English-language network from 2004-2010, and who later wrote a self-justifying memoir, The Tower of Babble (2012). The omission in the Pest piece is no doubt the result of various possibilities: either it’s assumed that everyone is familiar with Stursberg and the arcane gossip surrounding him because these events occurred somewhere in the vicinity of Toronto, or perhaps the op-ed’s author, Jesse Brown, wrote some paragraphs about Stursberg that ended up on the editorial room floor.